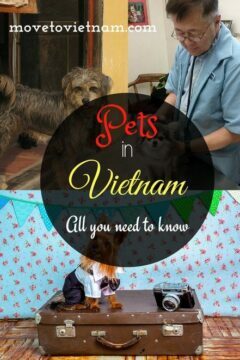 Either you are looking in bringing your pet in Vietnam for when you move here, exporting your pet from Vietnam, trying to find out information about adopting a pet in Vietnam, or simply need an advice about pet care here, you can find all these information on this article. You may use the table of contents below to ease your navigation. Bringing your pet in Vietnam exporting your pet out of Vietnam, or adopting a pet in Vietnam, you will find all the information here. If you also want to know if there are any animal rescue centres in Vietnam we have listed them here as well. 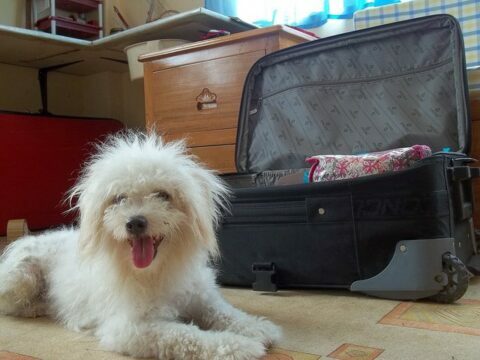 Bringing your pet in Vietnam is pretty easy and straightforward. All you need to do is to gather all the documents you need, make sure your pet have received all the necessary vaccinations, and which airline is willing to take your pet. 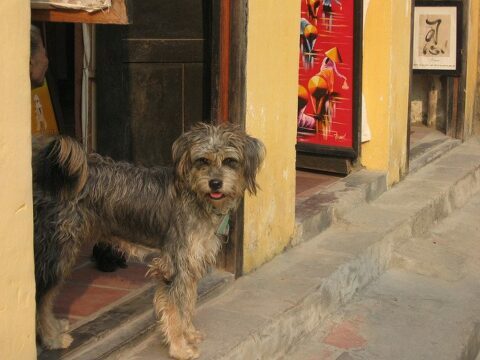 The number of stray dogs and cats in Vietnam is crazy high. Unfortunately, these stray animals are often get physically abused since in Vietnamese culture these animals are not part of the community. They are often seen as a property or a burden on the street. Thankfully, there are more and more rescue centres who is the main goal is to rescue these animal, re-home or foster them until they are ready for adoption. We also highly recommend you to adopt or foster a pet instead of buying one. There are hundreds if not thousands of homeless pets that are in need of care and love. Everyday, there are dogs and cats that are being abandoned or mistreated by their owners who ends up either in the rescue centre but worse on the street. Can you commit in looking after them for life? Dogs and cats can live up to 15-20 years. These pets can be very attached to their owner and probably had a bad experience in their past owner. They are looking for someone who will truly care for them and that they can trust. If you want to adopt a pet but unsure if you will be able to bring them with you when you leave Vietnam, we highly recommend you to simply foster them. In this situation, you can help to make space in the animal shelter and give a temporary home for those animals who are in need. Once you adopt one but at some point decided to leave it behind, it will be a painful process both for you and the animal. Are they ready to be re-homed? One of the major preparation you need to do is to make sure your future pet is ready to go home with you for long-term. If you are adopting from a rescue centre, you can always ask for their assistance in getting your pet all the vaccinations he/she needs. They can surely assist you or recommend a veterinary clinic to get these and/or conduct a general health check up. If you are taking a stray dog or cat, for example you found them on the street without an owner, or they are injured and would like to adopt it instead. 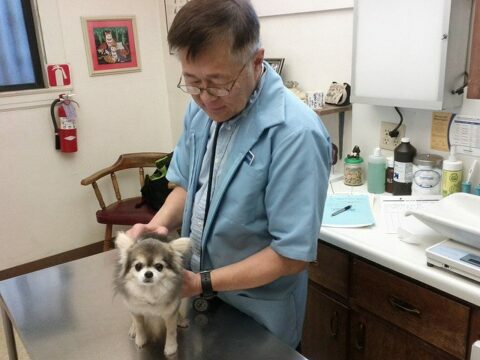 You should contact your local veterinary clinic to do a complete health check up. In this way, you can make sure if there are problems with your pet. Even you cannot see any injury, doesn't mean nothing is wrong. If you are unsure if this is actually a stray animal without an owner, you can always give your local animal rescue centre a call and ask for help to see if there are any owners looking for their missing pet/s. You can also join animal or pet Facebook groups. Is your home suitable for an pet? Are you ready to have a pet? We understand that you want a pet, but you also need to remember they have needs. Make sure your home is suitable for them. If your apartment/house is spacious enough for a big dog or a very energetic cat? Can you make sure to take your dog for a walk at least once a day? Can you provide nutritious and appropriate food for them? Do they have their own bed corner in your house to sleep on and be comfortable? Can you afford to take him/her to the vet clinic if needed? When everything are in the right place and you are ready, there is not much fuss when adopting a pet in Vietnam. There are no papers you have to prepare. As long you are ready to this commitment and your future pet is healthy and ready to go home with you – let's do this! If you know any other animal rescue centre in Vietnam please let us know on the comment section or contact us so we can add them here. Pet care in Vietnam is highly controversial. It is a fact that Vietnamese eat dog and cat meat, it is also a common situation that dogs and cats are being kidnapped or stolen and send them to dog or cat meat market or to a regular animal/pet market. There are also some issues that dogs and cats that are wandering around the streets are being poisoned since some locals see them as a pest in the community. For this situation, make sure to always lock your house/apartment when you are leaving your pets at home. If you need to install an extra security tools it is a smart thing to do. Micro chipping your pet may also help. In case your pet get stolen, reach out to the local animal rescue centre or expat and local social media community, these are the fastest way to bring out the news. Another thing you can do is bring a local with you (for translation) and visit the animal/pet meat market, there is a chance that you can find your fur baby there. Although, remember that there is a potential that you will be asked to “buy back” your pet. You should also try to contact the police. 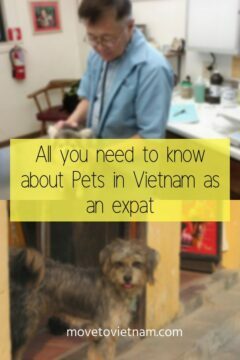 Once your pet arrived in Vietnam or you decided to adopt one, find the best veterinary clinic as soon as you can. Gather their contact information, opening hours, and find out if they have an English speaking Vet. Make sure that you also know which pet supply shop sells safe pet products. There are a lot of pet shops/supply shops throughout the city. The expat community in Vietnam is massive and there are subgroups in small cities or town. Check out this list of Facebook expat groups.